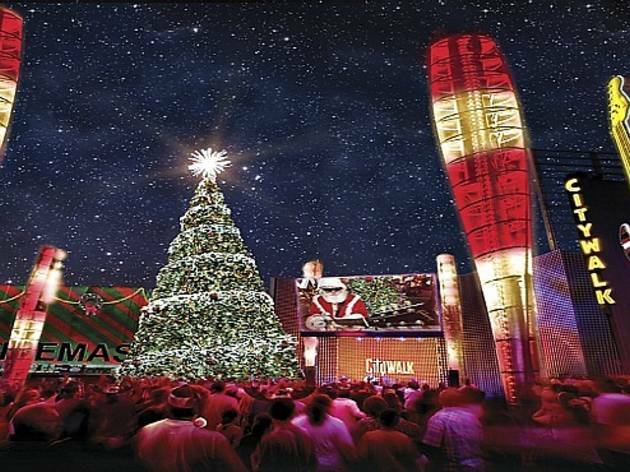 Universal Citywalk is decking its (outdoor) halls all season with a huge Christmas tree with choreographed lighting, a rock 'n' roll-themed Santa, tree lighting shows, and a wide-ranging concert series at its new high-tech "5 Towers" venue—phew, we're out of breath already. 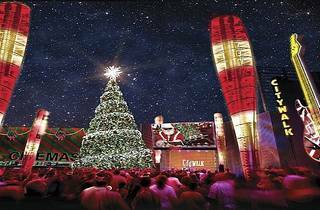 A diverse line-up of musical guests, such as Paige Bryan and Jamar Rogers from NBC's The Voice, will take the stage singing contemporary and classic holiday songs at the free concerts. The series finale, on Christmas day, will feature a Latin-American twist with a performance by singer Sajama. Check Citywalk's website for the entire concert schedule and details.